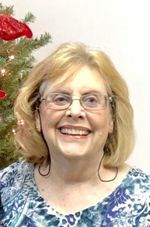 Welcome to Mary Craig Ministries! Ministering through Bible study, prayer, worship, digital media, literature, and worldwide missions. The Jews were celebrating Passover. From generation to generation the testimony had been preserved. It was a lamb for a household. By the time I was doing undergraduate work at Northwestern University, people around me were talking about Abraham Maslow's "hierarchy of need." At the most basic need level would be physiological needs, like breathing, food, water, and sleep. Next up would be things related to safety and security, like personal safety, resources, morality, family, health, and property. Then there is the need for belonging and love, which would encompass friendship, family, and relationships with significant others. Only then would one reach the level of esteem issues, like respect, confidence, acceptance, and achievement. Maslow's highest level is "self-actualization," dealing with morality, creativity, spontaneity, problem solving, acceptance of facts, and living free of prejudice. Use an asterisk ( * ) near the end of words to search for all their forms. Examples: proph* (not prophet*) finds prophecy, prophecies, prophesy, prophesies, prophesied, prophet, prophets, prophet's, prophetic, prophetically. Or victor* (not victory*) finds victor, victory, victories, victorious, etc. "People bringing people to help and hope in Jesus Christ." -For full details and a map to Craighouse see the Craighouse Events Calendar! 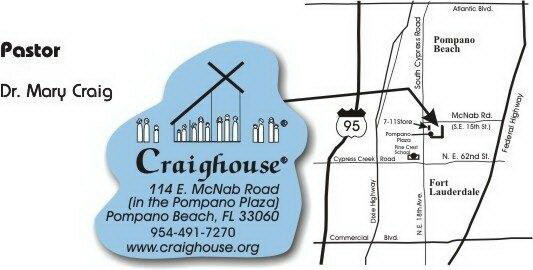 Since 1993, Craighouse is a Christian Fellowship established as a haven for those seeking help and hope in Jesus Christ. Here people find an atmosphere of grace in which to grow in the Christian faith through access to pastors, solid Biblical teaching, and the Holy Spirit. *Mary Craig Ministries is a 501(c)(3) not-for-profit organization. Our Federal tax ID number is: 65-0429517. All gifts are tax-deductible as allowed by law. This site is non-profit and for educational purposes only!! Copyright Disclaimer under section 107 of the Copyright Act 1976, allowance is made for "fair use" for purposes such as criticism, comment, news reporting, teaching, scholarship, education and research. Copyright © 2000-2019 Mary Craig Ministries, Inc.